The well-appointed and stylishly furnished Bordeaux provides exceptional quality and style. Freestanding sofas, dining table and chairs carry the ‘Chambray’ soft furnishing scheme in coffee, yellow ochre and neutral tones, that mixes floral patterns with plaid accents for a homely feel that cascades through to the bedrooms. The living area is exceptional offering space and comfort in abundance. With double patio doors leading out onto your decking (not included) this really opens up your living area. The massive wrap around kitchen has all the modern kitchen appliances you would want including a fully built in microwave and fully integrated floor to ceiling fridge freezer. The bedrooms are luxurious and the master bedroom also has a full sized dressing table, built in wardrobes and its own private en-suite. Fully double glazed with gas central heating and insulation in the floors walls and ceiling all goes together to make this the perfect all season luxury holiday home. 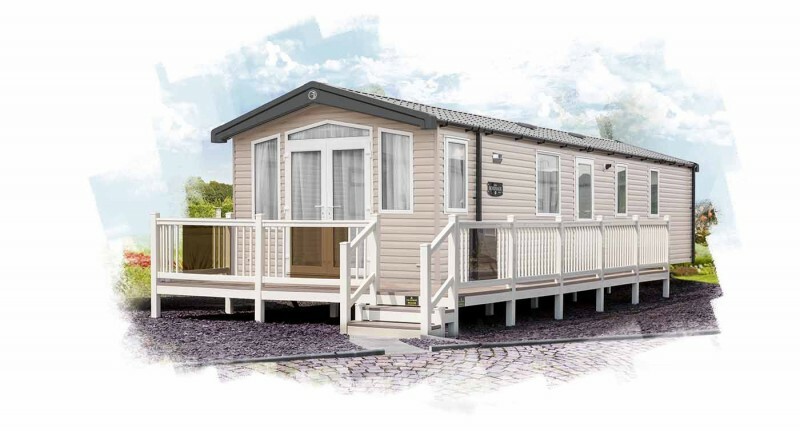 ALL THIS FOR JUST £29,995 WITH FREE SITE FEES FOR 2019!! !